I been working on trying to create a dubstep song. Well after a long amount of time just trying to get a good bass sound, fiddling around with my synths and such, I had an epiphany (sudden realization) that Why am I trying to create a new bass when I have one that is AWESOME in every way.. SO I heavily modified the sound by adding a wah pedal to it to create that wah bass. Or as you all somehow miss name it WUB. Really? I never got that. A few slicers, rotaries, flanger and delay and I am good. Getting it all to mix down right was another pain and I still feel that the one bass is a bit muffled. I only use hardware and mix down with Cakewalk Sonar. A professional DAW which FL studio will never be able to compete with. Yeap. I have been using hardware for years now and it all started why I bought my 303. If I wanna have one, I'd love to choose 808. I love its drum sound. Perfect for Trap. Each drummachine has a unique sound. I love the 909 because of the pop the kicks has and snappy snares. Oh I mean that in sound and function as the TR-909 can play 32nd notes, not just 16ths which makes it snappy. The TR-808 on the other hand has softer hats and snares but really makes up for it with that hard bass kicks and toms. When you want bass, the TR-808 delivers. Oh and that infamous Cowbell. The TR-606 is another classic I love and it is the perfect balance between bass and pop when it comes to the kicks but the hats and ride are some the the crispest I ever heard and can really make your piece. Then there is the TR-505 and I love this one for sythpop or even a bit of DNB because the machine really stands out above in quality when it comes to these genres. I wish I had a 707, I haven't played with one yet. :P Those are just the drummachines. If you never touched hardware in your life but want an instrument that can deliver in music, as a drummachine is just that, drums, you might want to get yourself a table top synth such as the Korg Electribe which contains a whole slew of synths and drums to boot. 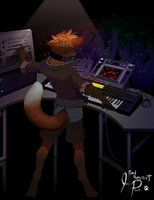 Then work your way to expand with new drummachines or table tops and eventually full out synths.